Tenet Healthcare Corporation, alongside two subsidiaries have agreed to pay over $513 million to resolve charges that it was involved in a large-scale kickback scheme to obtain patient referrals. Two of the hospital chain’s Georgia-based subsidiaries, Atlanta Medical Center Inc. and North Fulton Medical Center Inc., have pleaded guilty of violations of the Anti-Kickback Statute (AKS). The fact that the DOJ was able to negotiate some degree of admission of guilt is excellent news for whistleblowers and for the public as a whole. 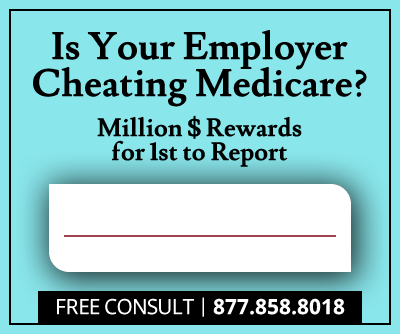 In a recent conference, government officials had expressed the need to go beyond monetary settlements and to ensure resolutions of healthcare fraud lawsuits included admission of guilt whenever the allegations were substantiated. Tenet HealthSystem Medical Inc. and its subsidiaries (known collectively as THSM) entered into a non-prosecution agreement (NPA) with the Criminal Division’s Fraud Section and the U.S. Attorney’s Office of the Northern District of Georgia. According to the NPA’s terms, THSM will not be prosecuted provided that it cooperates with the government’s investigation and retains a compliance monitor to prevent future violations of the AKS. The alleged kickback scheme first came to light when whistleblower Ralph Williams, a former CFO of a Tenet-owned hospital in Monroe, Georgia, filed a lawsuit under the False Claims Act, a legislation which allows whistleblowers to expose companies that have defrauded the government and to share in any recoveries. According to the lawsuit initiated by Williams, Tenet used contracts for nonexistent services as a cover for kickbacks paid to a number of clinics operating under the umbrella of Clinica de la Mama, which catered to undocumented Hispanic women. The kickbacks were paid in exchange for referrals for labor and delivery services at Tenet hospitals. As a result of the scheme, Tenet allegedly obtained $145 million in Medicaid and Medicare funds. Based on the whistleblower’s allegations, between 2000 and 2013, clinics received up to $20,000 a month to refer thousands of pregnant undocumented women to Tenet hospitals, where labor and delivery services were covered under Medicaid. As alleged, the expectant mothers were purposely misinformed to favor Tenet hospitals. They were either told that Medicaid would only cover childbirth and newborn care costs if they delivered at Tenet hospitals or simply that they could only deliver at Tenet hospitals. As a result of this misleading patient information, numerous women traveled long distances to deliver at the chain’s hospitals, often putting both their health and the health of their unborn children at risk. Medicaid routinely covers the cost of labor and delivery for indigent women, even if they are undocumented, and it does not require that they choose a specific hospital. In 2014, Gary Lang, VP of business development at Hilton Head Hospital and Tracey Cota, former CEO and CFO of the Hispanic Medical Management Inc. (now defunct), pleaded guilty to their participation in the conspiracy to violate the anti-kickback legislation. Counsel for the whistleblower commented that it was "extraordinary... to have key players on both sides of a kickback arrangement come forward and enter a guilty plea while a major whistleblower case [was] pending." According to Patrick Burns, of the Taxpayers Against Fraud Education Fund, this has been the largest pay-to-play settlement with a hospital chain, to date. The defendants will pay the federal government and the states of Georgia and South Carolina a total of $513 million. For his assistance in the recovery, whistleblower Ralph Williams will receive a whistleblower reward of $84.4 million.